One of the things that worry homeschooling moms is finding (or being able to afford) classes for their children, especially during summer time. Yes, we’ve been debunking myths on socialization for years, but in our 8 years of homeschooling, helping our children find avenues to get together with and get to know other home schoolers has been nothing but beneficial to our children. There are, of course, a lot of good classes out there, and it’s a whole lot easier to just sign up the kids for a class that’s already set; but when finances are tight, there are ways to go about with it. Last June, I, and a couple of homeschool moms in our Bible Study group, put together a watercolor class for our kids. 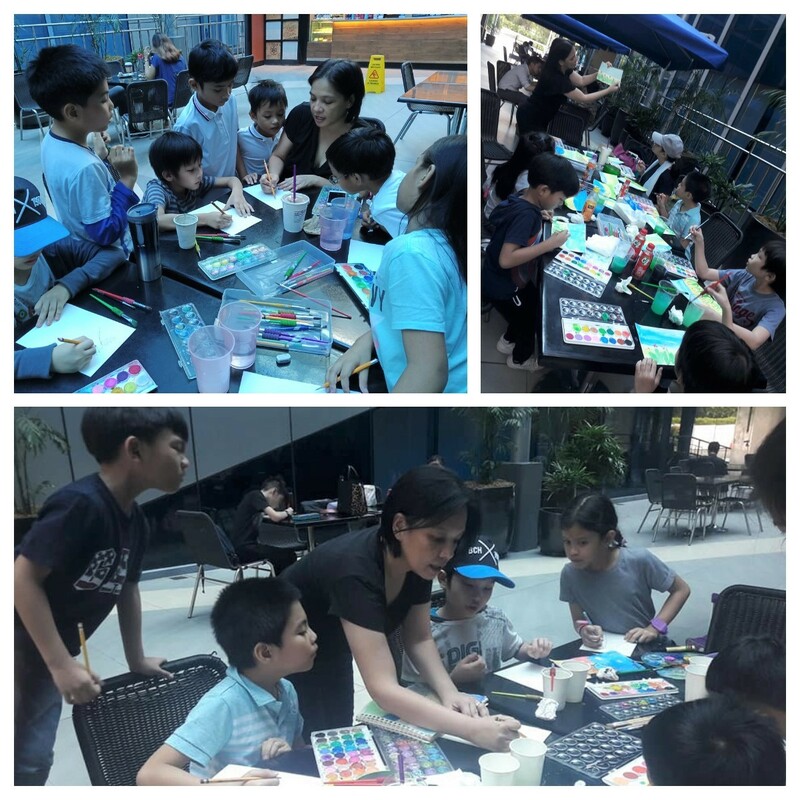 Since I had been in a few art workshops in the past two years and have been practicing watercolor at home as a hobby, I volunteered to be their teacher. What I did was find simple watercolor projects on Pinterest easy enough for our kids to do. I opened up the class to a couple more friends from church whose kids are within the age range. We met at coffee shops, usually at the one within our church facility where the kids can run and play at the garden after our sessions; but when the venue was not available for us, we moved to other coffee shops accessible enough for all of us. The only request I made to the parents was to buy coffee or a pastry from the coffee shop we stayed at to bless them for letting us use their facility. We also made sure that we cleaned our messes before we leave. Reasonable requests, especially that the tables we occupied are intended for the shop’s sales, right? You don’t have to be a professional painter to be able to teach kids watercolor art, but it helps to have a little training in it. If you don’t have any and you have no idea on where to begin, I recommend pooling together funds to register for Creating a Masterpiece, an online art tutorial website, not just for homeschoolers, but for any art enthusiast or hobbyist. This is where I learned basic watercolor techniques and what materials were needed when I reviewed the site and followed the instructional videos along with my kids. For only $40 a month, your group can have access to art tutorials, from acrylic painting, charcoal drawing, etc. and learn from professional artists. You can bring a laptop and let the kids follow the video tutorials, or you can study it at home and demonstrate it to them when you meet. Either way is a win! Once you’ve learned the techniques from the videos and want to create more watercolor art, here are a few suggestions. I made videos to show you how I do it. 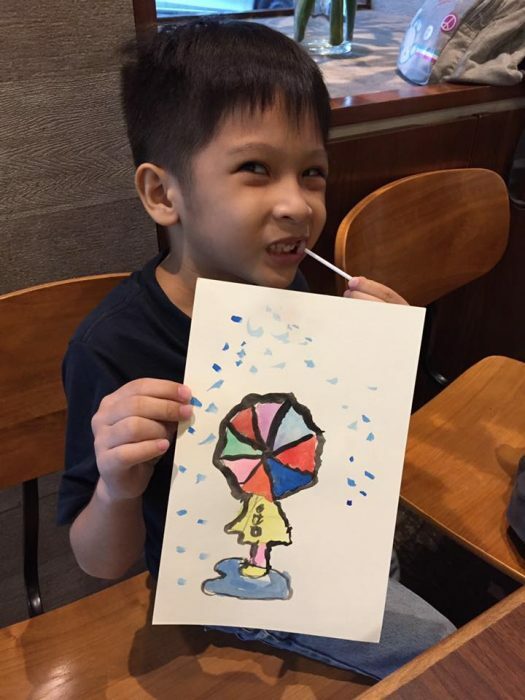 (Just so you know, we have done this in our watercolor meets and the kids were able to produce beautiful projects from it). These art ideas are not my own, I saw them on Pinterest, and I have no intention of selling or earning from them. I just wanted to show you how these pictures can be made with watercolor so you can show them to your kids and they can copy what you do. I made sure that the camera captured the materials we use and recommend to the kids who joined us. It’s always good to have three kinds of brushes – a small tip one, a medium tip one, and a flat brush. And for watercolor, the brand, Simbalion, which is usually available at National Bookstores, is the most affordable watercolor set that has great pigmentation for watercolor art, according to my artist friend, Margot Uy. Here are a few tips I’d like to give you when you put together an art class. 1. Give the children space to create. Of course, you’ll be teaching them how to do a picture, but give them space to add their own touches to the picture. For example, in girl in a puddle (see first video), the shape of the puddle doesn’t have to be the exact same shape you do it. You can also allow them to change colors and let them see the effects of these changes in their works. 2. Allow them room for mistakes. Of course, it’s good to come up with excellent work, but personally, I would rather teach my children how to give it their best – to really try and do it with heart, more than just produce excellent work that means nothing. If they feel that they made a mistake somewhere, give them options on how to move forward. They can start over or they can recreate. It doesn’t have to be perfect. There is no such thing in art. Again, it’s art. Let the kids explore and express themselves. Teach them the techniques and show them how, but give them room to use these techniques as they please. Or if another idea pops into their head while watching your demo, let them do it. Appreciate the little details that transform their works into their own, unique works. Are the kids admiring each other’s works and discussing ideas? Let them. Keep it a fun environment where they are free to laugh and discuss their ideas. Kids tend to want to learn more when they’re having fun. Maybe because I am an artist, myself, (performing, not visual) that I tend to look for potential more than perfection. I look at what’s beautiful in the kids’ works and only make suggestions on what they can do when they ask for help with something. I appreciate the differences in attack and creativity. I love how the kids’ personalities shine through in their works. 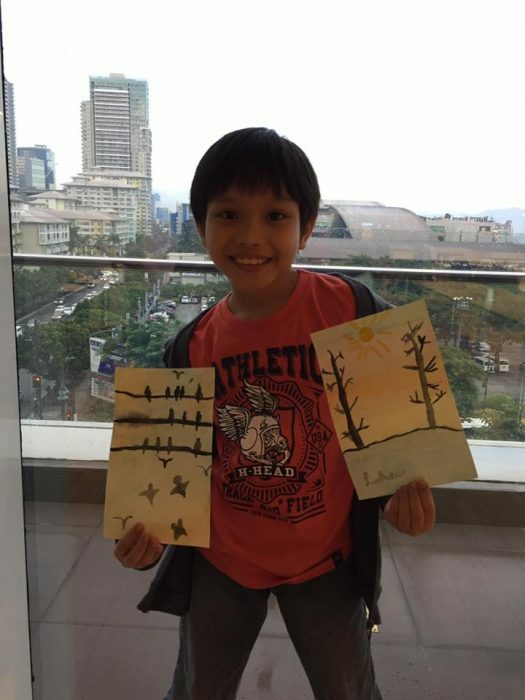 Our humble watercolor class was not intended for training future Fernando Amorsolo’s and Juan Luna’s. It’s really just an avenue for discovery, exploration, creativity and friendships. 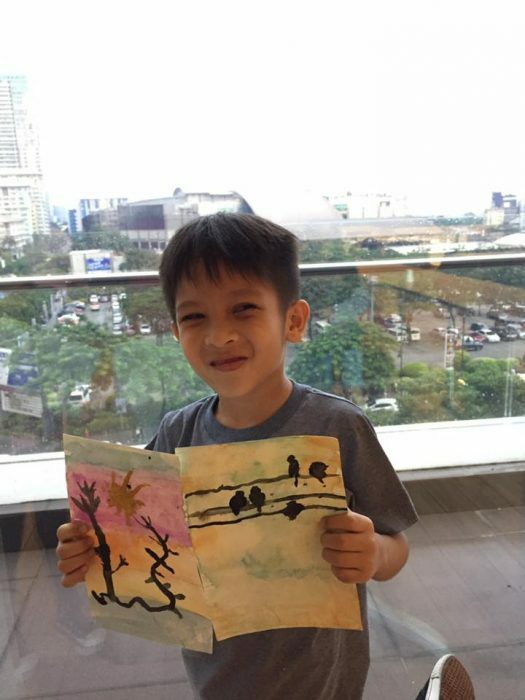 If one of the kids in your watercolor sessions show a little more aptitude for art than usual, then maybe later on, he can enroll in a studio where his gift can be further nurtured and developed. How about it? Gather kids you know and put together a watercolor class this summer. Let me know how it goes! Who knows? You may be giving these kids an experience they’ll never forget. This is an awesome activity for kids..I can imagine how my little one interact with other kids on an art session. i definitely must try! This is a good activity specially this summer season. Ang galing naman nila mag draw using watercolor. +Cool mommy! I love the idea. My toddler is still 2 but I am trying to incorporate activities like this. Recently I had some problems with him holding colors or art materials because his giving tantrums. I dunno what seems to be the problemm. I don’t know why but art never like me. Hahaha. But I want to give it a try again. 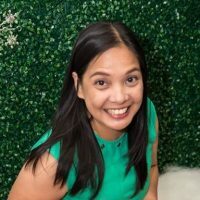 Isasama ko yung pamangkin ko para masaya. Haha. 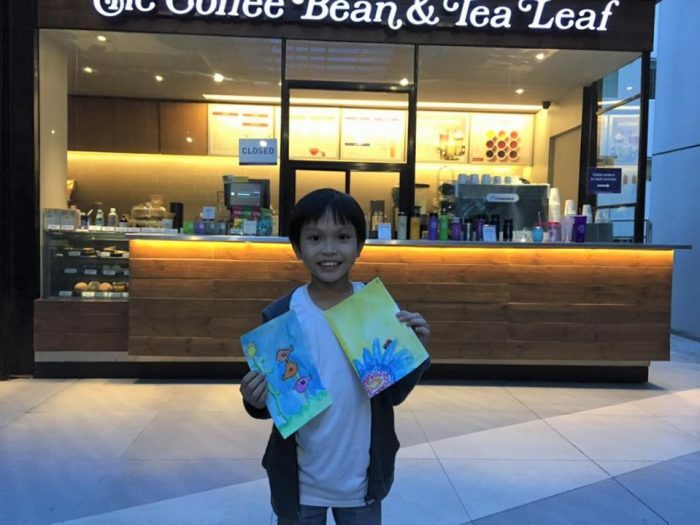 Letting kids play with watercolors and be creative is an awesome activity for kids even for adults. Also a nice way for kids to meet new friends! Hi Ms. May! Wow! Thank you for sharing this. I’m not yet a mom but reading about homeschooling and classes is a future help for me to understand the concept. I admire moms who are very dedicated to their children’s homeschooling. I know it takes a different kind of discipline. And thank you for sharing the videos. This is a great experience for kids. I’m sure they will not forget this when they grow old. My little sister will enjoy this! Good timing for summer! My kids will surely want to experience watercolor-ing Will try to have them experience this summer. 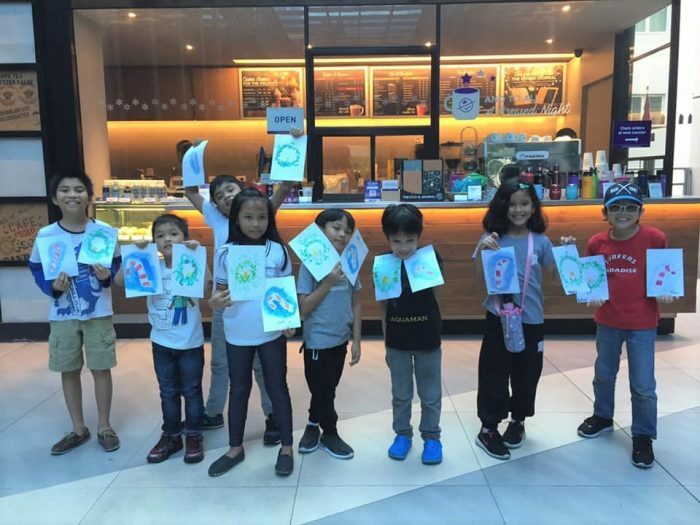 What a totally awesome way to encourage kids to develop their creativity! Kudos to you for encouraging parents to spend time with kids in creative pursuits. When I was younger, my parents used to enroll me in a school for arts and we did a lot of activities that involve watercolors and crayons! I still recommend these activities to my friends having kids who are looking for summer activities.